Goes without saying (obviously Sebastian agrees :-) do a backup first. Data you don't backup is data you don't care about. The difficulty with "if Microsoft provided some kind of tool that converted Windows 7/8 keys to Windows 10." is that it would be much harder to prevent covert theft and upgrading of keys without the legitimate owner's knowledge. Say you could just enter a Win7/8 key onto a website and instantly get a Win10 key, anyone who had access to your machine could read your key and use that to get a Win10 license, thereby revoking the license for your current Windows, without leaving any visible trace on your machine. Botnets could harvest keys for illegal resale. Dodgy employees could copy keys off work PCs. Dodgier repair techs could copy keys off customer machines. By requiring an in-place upgrade of an activated copy of Windows, it makes it much harder to simply copy someone else's key; only a person legitimately running the OS with the original key can use it and it can't be done without the owner's knowledge. Granted, it's not 100% foolproof but it's much harder to clone a whole HD than it is to run Keyfinder, plus a cloned copy should theoretically deactivate itself due to hardware changes. Did I misread the article, or is the summary basically "upgrade to win10, and then when you reinstall, skip the product key stuff, and rely on MS Activation servers magically recognizing your hardware"? Seems a bit iffy if that's the case. Can't you extract the generated win10 key once you've upgraded? That is what I am doing, Speccy can tell you the key once you are on Win 10. Well, they can do that already. Anyone with the appropriate permissions and sufficient access could read your Win 7/8 key and input that into a fresh install, which would trigger an activation panic when the servers discovered two machines running on the same key. The reason this isn't a major problem is that the vast majority of machines are running an OEM installation in which the key is linked to the royalty OEM certificate in the BIOS/EFI - without that certificate the key is useless, and this behaviour could certainly be replicated in a converted key. But Windows 10 keys work differently, and appear to be based on a hash combining multiple elements including details of the hardware as well as the MS account associated with the installation. I suspect MS is moving away from the concept of product keys entirely towards an account-based activation system. So they aren't offering to convert product keys simply because they want them to die out. For sure! Everyone should keep regular backups of their data. I figured that anyone doing a clean installation would understand that they'd be deleting some data - but I'll update the story to mention it anyway. Cheers! "It goes without saying that, before you install any new operating system, you should back up any important data beforehand." You need to always say this, maybe even go the next step further by saying "you are going to lose your pictures, programs, games, music and videos of your sleeping cat". Some people just don't grasp what "everything" means and NOBODY wants to lose their cat videos. And thanks for the walk through! Instead of a clean install, I upgraded, then used the built in refresh option which is basically a clean install. I too, got the "invalid key" error, yet it sorted itself out. I did'nt wait for windows to activate before refreshing, but it's probably wise to do so. About the data thing, I go by the "don't keep anything too important on the boot drive" dogma. It's much less hassle when you only have to copy the user folder at worst. Are there any change notes to see what's new/fixed relative to the last preview builds? I'm unconvinced by Windows 10 right now, namely due to the update rules. But what really annoyed me about the preview was that I had English as my system language, yet all metro apps would be in Portuguese because of the location settings. I do not want an OS in two different languages, and I don't much care for the sloppy translations that pass as localised versions of Windows. Which raises the question: Could I not use this 'installation media' to perform an in place upgrade, and then use it for the clean install, so that I don't have to download the thing twice? Well in any case, as the 'installation media' download is already in progress, I'm not going to stop it as I'll need it anyway. But when it's finished I'll see if it can also perform an upgrade and will report back, unless somebody here already knows the answer. Yep - actually that's one way to speed up the process! You can use that installation media to do an upgrade - and then use the same media to do a clean installation afterwards. Also, this will probably annoy you... but my download tool grabbed the entirety of Windows 10 in about 15 minutes! Problem: How do I do the initial upgrade-install on a Windows 8 HDMI stick that only has 900MB free disk space? That was my reason for doing clean-install in the first place...tablets, HDMI-sticks, and other embedded things only have around 16GB disk space to begin with and after all the patches usually only about 1GB free. Run this from an admin command prompt to change the serial number for your installation. This was (daftly) necessary to do a fresh install of Windows 8.1 when you'd used the Windows Store to upgrade from Windows 8. You had to use a "generic product key" to get the Windows 8.1 installer to work, then you had to change the code back to the Windows 8 key! Now that Windows 10 is the "last version" of Windows, I hope MS will be regularly updating the downloadable ISO so in 20 years time we do not have to install an ancient version and let Windows Update roll it forward again. Even now, that is a scandalous security hole - you have no choice but to go online with an un-patched OS just so Windows Update can make it secure again! It should not be beyond a company with MS's resources to maintain a fully patched ISO for download so we can always re-install without taking these risks. I have a legitimate, purchased copy of Windows 7 installed now, but the case for the installation media (containing my valid product key) was lost a long time ago (I might still have it around in storage somewhere, but I've moved several times in the last few years). I've been relying on a hard drive image ever since. If I'm reading this right, though, I don't need to enter my Win 7 key at any point during the upgrade/clean install process? The tool just generates a new Windows 10 key after verifying my current installation is still valid? Or should I just use a registry digging tool to retrieve my current key? You do not have to type in the key and Windows 10 will recognize your hardware upon reinstalling. It won't actually supply you with a new key and instead allows you to skip the verification part during installation. You can use something like Speccy to extract the key (even from Windows 10 it seems). Edit: It seems that speccy might not actually be reporting proper keys. I hope the extracted key works. I have been screwed over registration crap because of basic hardware changes before. Now if MS will only release Win10 for VOL business, final MDT 2013 Update 1, and final Windows 10 ADK. It would be a lot easier and faster if Microsoft provided some kind of tool that converted Windows 7/8 keys to Windows 10. Seriously. Maybe they will? I'm going to hold off few months anyway, it's too buggy now. If you currently have a 32-bit windows 7 install and upgrade that in place to a 32-bit windows 10... Can you then reinstall 64-bit windows 10 and use that key still? I haven't associated an MS account with my installation (which as of yesterday is an in-place upgrade of 8.1 to 10, neither of which used an MS account). I had a valid product key for 8.1, which has presumably been converted into something else now that I've upgraded. If I extract the new key using Speccy or a similar tool, is that going to work for future clean installs of 10? Or are they now effectively requiring that we use an MS account for licensing purposes? Keep all your serials in an encrypted file in Dropbox or something. I never lost a serial because I ways saved them into a file. Now I use 1Password to store all my keys and serials. I had a feeling this would be the way you'd have to do it. A bit disappointing, but I can see why technically you kinda have to do it this way. Good to see confirmation though, will probably be upgrading my desktop at home over the weekend. I hope there's an article about what to do if the Winows Ten Reservation button just isn't appearing. I have a legit copy of Windows 8.1 on an ASUS computer that I bought three months ago, it's not enterprise or anything, I've double checked that I have all updates, run the script recommended by windows to try and force the install of the button, but nothing. Ran their troubleshooter from the Windows site and it says my version of Windows is nor compatible. I don't understand how that could possibly be! It's normal Windows 8.1, I am the admin account, I've done nothing funny with this computer! I don't think I've even installed any third party software except for Chrome. So frustrating! I'm going to find out tonight. I created the ISO on my desktop system selecting "Pro" and "64 bit". I then attempted to perform an in place upgrade on my old dual core T3400 CPU laptop running Windows 7 - 32 bitand was told that my Windows 10 was not the correct version. This process looks likely to work. 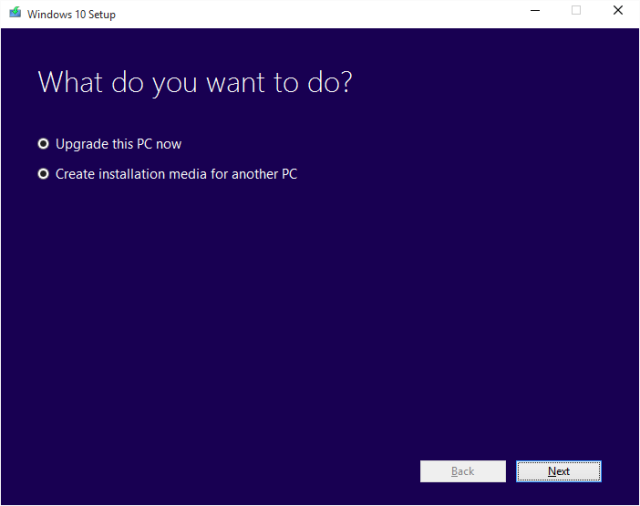 Upgrade in place to Win 10/32, then reinstall as Win10/64. My main worry all along was the Key/keys required and I intend to write down every key during the process- just in case. Currently, it isn't clear if you can take your freebie Windows 10 licence key and use it to install Windows 10 on another machine. This is the thing I'm interested in. I'm planning on building a new PC (around one of the Skylake 'K' chips) within the next few weeks and, if possible, I'd like to be cheap (saving ~£65 would be nice...) and use the 'free' Windows 10 upgrade to install on the new machine. On my current desktop I'm running a (legit) OEM/System Builder copy of Windows 7 64-bit SP1. 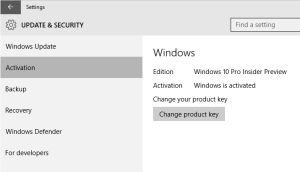 I just used Speccy to check my product key and found something rather curious - I've upgraded to Windows 10 Pro on 3 separate devices (2 Windows 8.1 Update devices, and one with an OEM Windows 7 licence), each using separate keys and the key for Windows 10 is the same on each. I'm wondering what this means for me. If anyone else has checked, did your key end with "3V66T"? Well that's great and all, except I can't upgrade to Windows 10 from 7. It fails at the "migrate data" stage according to the logs. Of course the actual installer didn't tell me that. It didn't even tell me that "something happened". Maybe the correct error message would have been "Nothing happened" since I was just taken back to the Windows 7 desktop after the installation. Typical Micro$oft. If anyone else has checked, did your key end with "3V66T"? Mine does, also checked with Speccy. and got an entirely different serial, so I'm not sure what's going on. Also worth backing up your drivers too. Use Double Driver (http://www.boozet.org/dd.htm - free, no install required) to save these drivers onto an external USB stick. After you've done a clean install of Windows 10, go into the Device Manager and check if you have any items with an exclamation mark. If you do, right click, select "install driver" and point Windows at the USB stick. I have an MSDN, and have downloaded the "Multi Version" and Enterprise ISO's from the subscriber downloads. Does anyone know if you can use these to perform the in place upgrades (not for Enterprise, I know), and then get the keys for those individual systems? Since I have a few retail licenses I would to have to use my MSDN provided keys for those systems, if not necessary. Also it would save me having to download, yet another, installation package, if not necessary. Also, once you have downloaded the upgrade package from a W7/W8x machine, can you use that package on yet another system without having to download the entire thing for each system, individually? Well, my plan was to upgrade my OS SSD from 120GB to 500 at the same time as the upgrade. A fresh start, (the first one since I did a complete wipe going from Windows 7 RC to a retail copy) this time avoiding the whole faf of mapping libraries to a second, larger, slower disk and the fidling with permisions that goes with it. Am I going to have to clone the old OS to the new drive and then upgrade it or is a new drive a small enough change that X will reactivate? The question about moving these upgraded licences to new machines is an interesting one though. I'll be upgrading from 8.1, which was a free upgrade from 8.0 Pro Media centre, itself a free upgrade from 8.0 Pro, which was a paid upgrade from Windows 7 Retail. So what do I have now? I originaly paid for a retail copy (rather than an OEM copy) so I'd be able to take the OS with me whenever I built a new PC. What I didn't know at the time ('08-'09) was that, aside from a graphics card upgrade in 2011, I'd have the same PC for the next seven years! I guess i've got my monies worth out of that Windows 7 box, but if MS did want to make these 10 upgrades tied to the machine, I expect at the very least to get my infinitely transferable windows 7 licence back in the event I have to buy a new copy of 10 when i finaly do a complete (cpu/mb/ram/gfx) upgrade. The 3V66T key is a generic key - I think everyone/lots of people have it. Maybe it's from Windows Insider/Win 10 Preview users?